WASHINGTON, D.C. -- U.S. President Barack Obama’s fiscal year 2011 budget requests for hydropower-related government agencies and ocean energy research are announced. For more, click here. ACCRA, Ghana --The Volta River Authority is preparing an Emergency Preparedness Plan to identify, prevent and limit the effects of potential dam failures at Akosombo and Kpong. For more, click here. RIO DE JANEIRO, Brazil -- Brazil’s environmental authority issues a preliminary license for the proposed 11,200-MW Belo Monte hydroelectric project in the Amazon region, subject to a number of conditions covering environmental concerns and other issues. 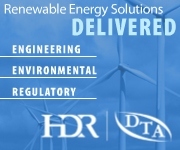 BOCA RATON, Fla. -- Hydro Alternative Energy Inc., a renewable energy company, acquires all U.S. and international patent and intellectual property rights to certain water power technology for use in certain commercialized water power applications. To determine the flow performance of a fish bypass structure proposed for 1,038-MW Wanapum Dam, researchers combined results from a physical model with numerical modeling. 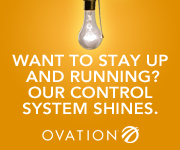 CLEVELAND, Ohio -- Eaton’s arc-resistant low voltage switchgear wins a Product of the Year award for outstanding achievements in product design and innovation. For more, click here. Specific modifications to high-head leaf gates can reduce downpull forces in both the open and closed type of gate. 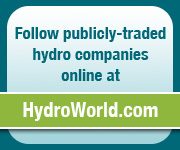 A subscription to HydroWorld Premium Content provides access 24 hours a day to detailed announcements of hydro business opportunities around the world (with full contact information), top-level regulatory news, and a database of project filings from the U.S. Federal Energy Regulatory Commission (updated weekly). 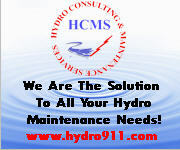 For details about a subscription, click here.